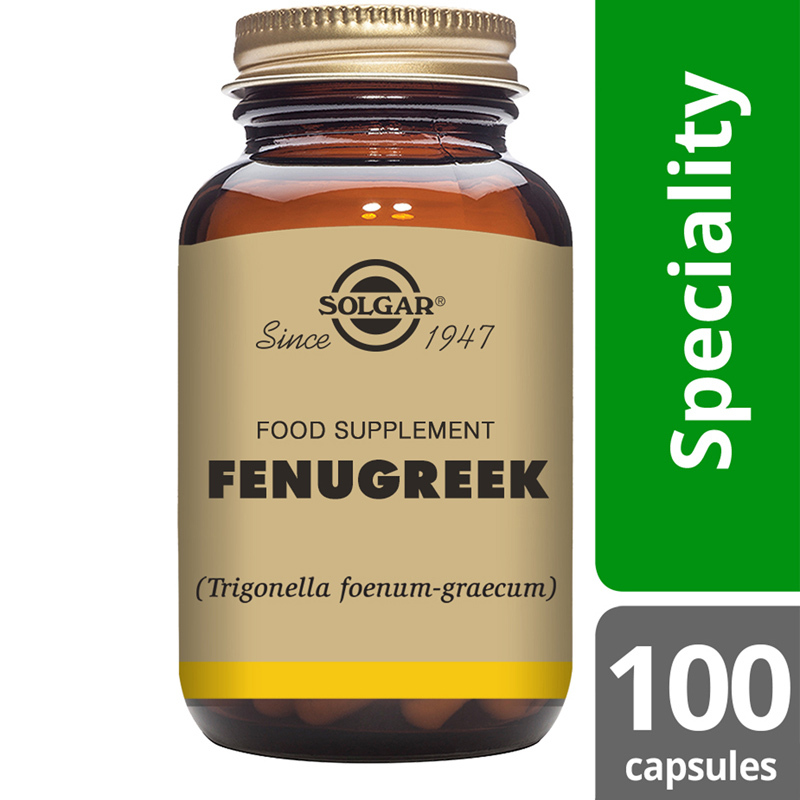 Fenugreek is a plant which can be found in the Mediterranean and Middle East. Its seeds are often used in the Indian cuisine. Solgar® Fenugreek Vegetable Capsules, suitable for Vegans and Vegetarians, contains both extract and powder of the fenugreek seeds; 1 tablet a day provides 150 mg extract and 370 mg powder. 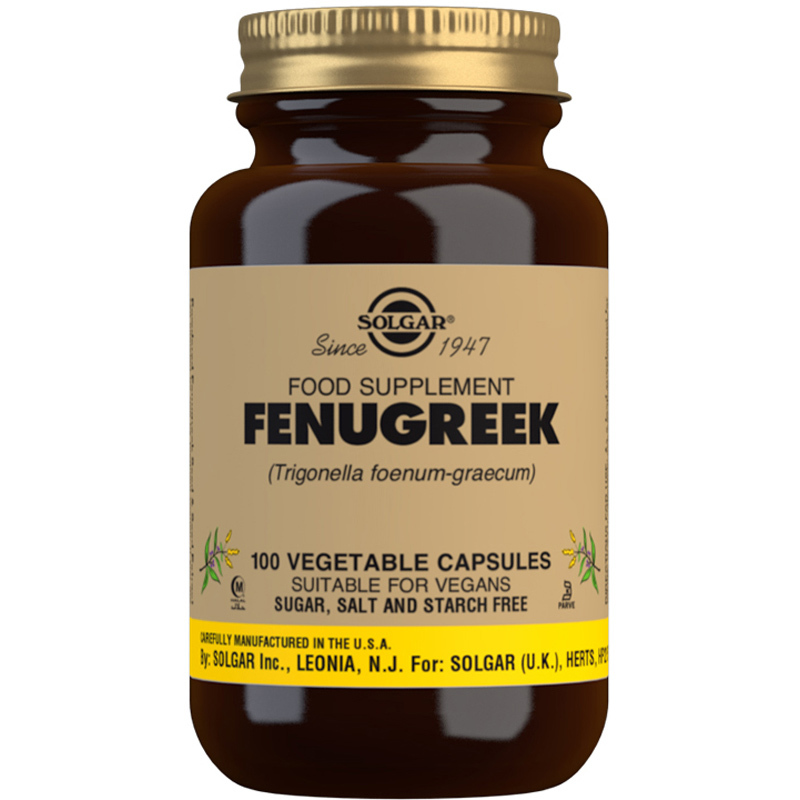 Ingredients: Fenugreek (Trigonella foenum-graecum) Seed Powder, Bulking Agents: (maltodextrin, tricalcium phosphate), Vegetable Capsule Shell: hydroxypropylmethyl cellulose, Fenugreek (Trigonella foenum-graecum) Seed Extract (4:1), Colour: natural caramel. Fenugreek (Trigonella foenum-graecum) Seed Powder, Bulking Agents: (maltodextrin, tricalcium phosphate), Vegetable Capsule Shell: hydroxypropylmethyl cellulose, Fenugreek (Trigonella foenum-graecum) Seed Extract (4:1), Colour: natural caramel. As an herbal food supplement for adults, one (1) Vegicap daily, preferably at mealtime, or as directed by a healthcare practitioner.